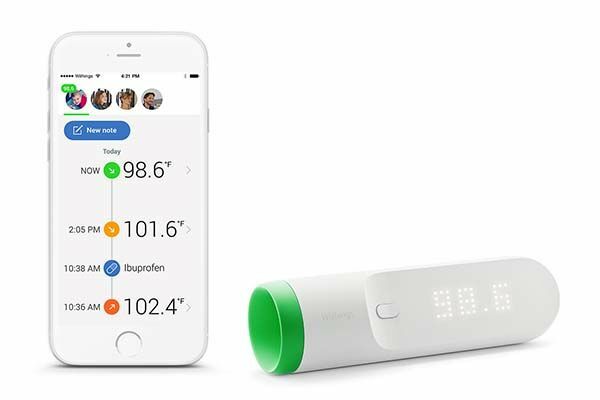 In addition to announcement of Withings Go fitness tracker at CES 2016, Withings also unveiled Thermo, their latest smart thermometer. With 16 sensors, the thermometer delivers quick and accurate temperature measurement. The Thermo is an advanced and practical smart thermometer that shows off an ultra portable, sleek and minimalistic design, and its ergonomic profile lets you comfortably and firmly hold the thermometer in your hand for temperature measurement. The hand-held thermometer features 16 infrared sensors and Withings’s patented HotSpot Sensor, so it’s able to find the hottest spot and provide a highly accurate temperature reading in 2 seconds, and integrated LED display intuitively shows you the measuring result, and its color-coded temperature feedback is relevant to the user’s age profile, so you can easily understand the reading. 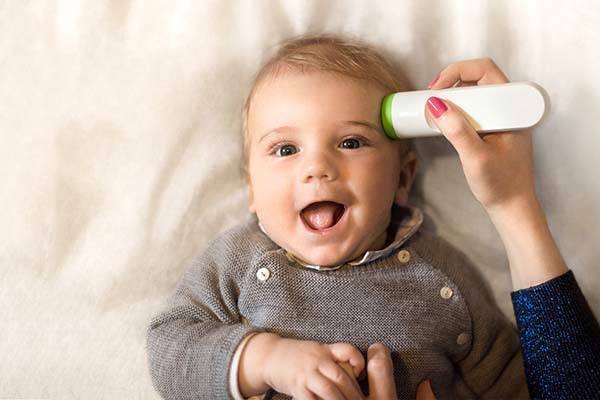 As a smart thermometer, Thermo comes with both WiFi and Bluetooth connectives that allow it to automatically sync to your smartphone, and its companion app delivers you a temperature diary and simple analysis, and you can send your personal info and symptoms to your doctor at any time with one click. 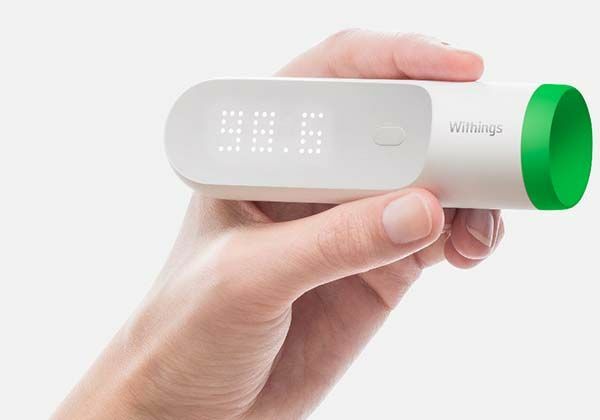 Withings Thermo smart thermometer will be available for $99.95 USD in March this year. If you’re interested, jump to Withings for its more details. BTW, also don’t miss more related cool stuff by following tags.